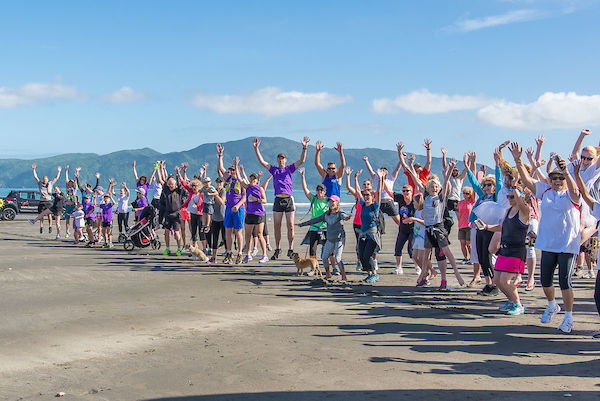 Over the last seven years the Web Genius Kapiti Run for Youth (KR4Y) has raised more than $75,000 to support youth charities in Kapiti. Planning has started, and we are now ready to launch the 2018 event on Sunday 25 March to raise as much as money as we can for Kapiti youth. In past years, KR4Y has supported the Youth Quest boys mentoring programme which had received up to 80% of total funds raised. “Sadly, the organisation has been placed in voluntary liquidation which has prompted a re-think on how we will distribute funds to youth charities in 2018,” says Richard Calkin of Web Genius. “Web Genius is a business that employees a high number of young people. We decided to create KR4Y in the beginning, so our business can ‘give back’ to the youth of Kapiti. We are delighted by the sustainability of the event and the support we receive from community, businesses and the many individuals and groups that have participated over time. KR4Y will continue to support and encourage the ongoing work of Fundraising Partners who are working in the youth space in Kapiti,” says Richard. KR4Y has a unique fundraising model. It invites ‘Fundraising Partners’ to register in the event and all of the money they raise is distributed on 40-40-20 model. “This means they receive 40% of what they raise back to their organisation to do good work for youth in our community. The other 40% is distributed to an agreed youth charity and the remaining 20% helps to run the event,” says Helene Judge, Campaign Manager. We work hard to keep a low-cost structure which is topped up by local business sponsors which means we can pay-out 80% of the total money raised to our registered Fundraising Partners. Last year, Fundraising Partners included: El Rancho, Kapiti College, Kapiti Youth Support, Paraparaumu College, Youth Quest and ZEAL. Local business sponsorship has played a large part in the campaign this year with 27 local businesses contributing more than $6,000 to the overall amount raised through Gold $500, Silver $250 and Bronze $100 sponsorships’. “We will be touching base with each sponsor early in the new year to see if they would like to continue their support of KR4Y and we hope to have a few new sponsors come on-board. It’s a wonderful team building exercise for any sponsor and an easy way to give back to your local community,” says Helene. Original generation time 1.5219 seconds. Cache Loaded in: 0.0005 seconds.